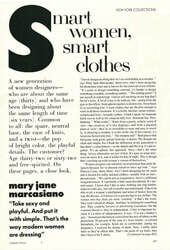 Marcasiano is the president of her eponymous design company in New York City. 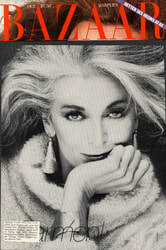 She has designed clothing and accessories, under her own brand and for other prestigious fashion companies since 1978. Marcasiano is a graduate of the Parsons School of Design/The New School and the recipient of the Cartier, DuPont, Cutty Sark and Wool Knit Awards and a member of the CFDA since 1979. 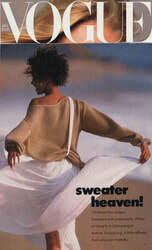 Marcasiano has licensed her designs to Ben Kahn Furs, Italo Colombo shoes, Otto Grun Jewelry and been a design consultant for Joan Vass, Cole Haan, Malo Tricot and Saks Fifth Avenue. Designer/Soho resident Mary Jane Marcasiano and her staff will shop, edit your existing closet, supervise alterations, style your wardrobe & put together the perfect travel solutions or work "uniform". Fashion designer & Soho resident Mary Jane Marcasiano has worked her magic for celebrities from the Film, Music and Art Worlds and now is offering her styling services to a limited number of private clients in Soho. Why Soho ? Marcasiano is a long time resident of Soho and started her fashion business there. She enjoys living, working and shopping in her neighborhood, which has become one of the worlds shopping destinations.